Earlier this week Nintendo revealed the Nintendo Switch originally known as the Nintendo NX. 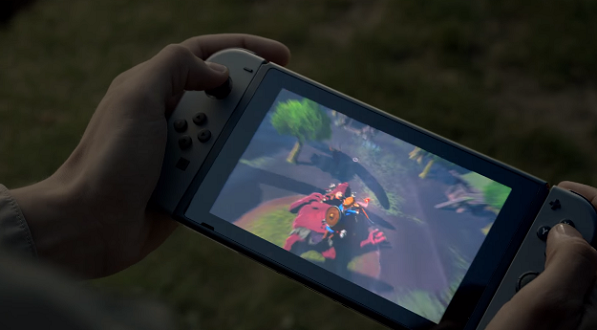 According to Nintendo, the console isn’t a successor to the 3DS or Nintendo Wii and serves a kind of transitional console—similar to the PS4 Pro and Microsoft’s Project Scorpio. It is also a hybrid console allowing for main console-style play and handheld-style play of the same titles. The console features a tablet as the main console or “the Switch”, a docking station, and “Joy Cons”—two controllers which can serve as separate controllers for two player action or used together with the Switch in a similar fashion to the Wii Pad. It also works with a conventional controller. The two controllers serving as a separate controllers for certain titles is very interesting. Local multiplayer was incredibly popular in the 1980s into the early 2000s. When online multiplayer started to rise during the end of the 6th generation of consoles (Dreamcast, GameCube, PlayStation 2, Xbox) local multiplayer was kept around as an optional feature and only got strong focus from Nintendo and party games. That said, it will be interesting to see local multiplayer on Switch. There will be several major developers will provide content for the Switch, what is definitely known is that it showcases the company’s skill of thinking beyond outside of the now conventional, safe console structure it helped to form in the 1990s. Switch doesn’t use discs, but game cards but not 3DS cards. It could point to new games being on these game cards but the console possibly having access to titles from the 3DS and Wii U on the Switch’s eShop especially from your eShop libraries from the devices. It could also point to a console focusing more on digital outside of a select titles. In the showcase, it showed footage from popular franchises such as 2K Sport’s NBA 2K17 and more particularly interesting Bethesda’s Elder Scrolls V: Skyrim. It doesn’t mean we’ll definitely see these titles on the Switch, but the developers have agreed to provide games for the console. 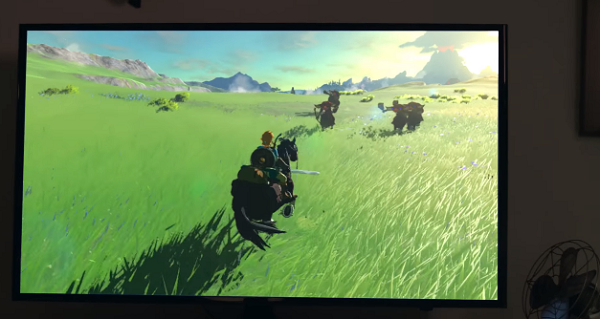 One of the most impressive-looking first party titles showcased by Nintendo was Legend of Zelda: Breath of the Wild which was also showcased for the Wii U at during E3 this year. Also featured was Splatoon. What will be interesting comes from outside of Nintendo in if there will be Twitch and YouTube Gaming live streaming support for Switch. 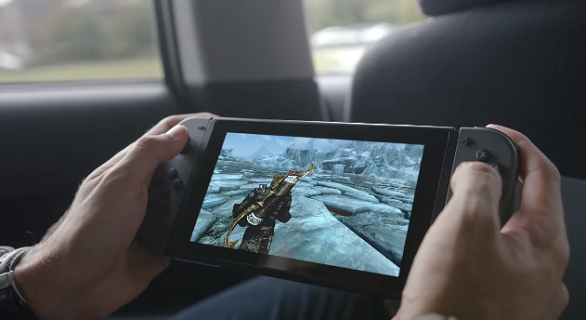 Especially given that YouTube Gaming streaming on Switch via the tablet could be similar to mobile streaming. In short it’s a Nintendo console. You know what to expect and if you’re a Nintendo fan, you know not to get your hopes up too high for third party. That aside, there’s potential for Switch to be great. It will definitely be most unique addition in the Big Three’s transitional console offerings. 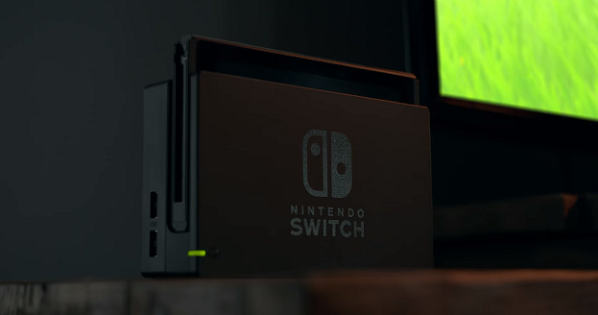 The Nintendo Switch will launch March 2017.